The final renewal day of this page is July 20, 2005. 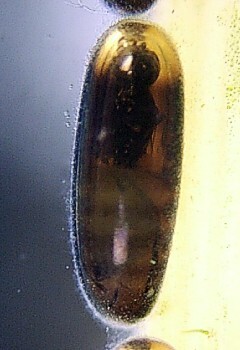 I found several eggs of the water striders in a nearby pond on July 12, 2005. The Scelionid wasps were parasitic on these eggs. 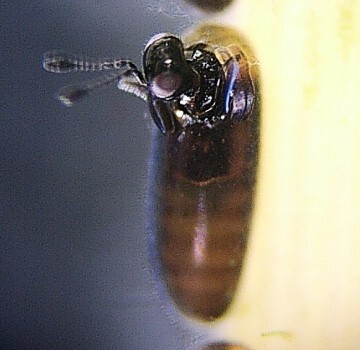 I checked the method that the Scelionid wasps open a hole to the shell of the water strider. Figure17-1 Several eggs of the water striders that the Scelionid wasps came out ( July 19, 2005. ) 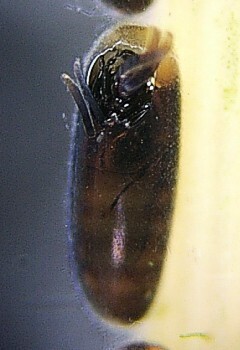 The Scelionid wasps make a round hole to the shell of the egg of a water strider. This round hole comes with the result that cut the shell of the egg several times thinly. 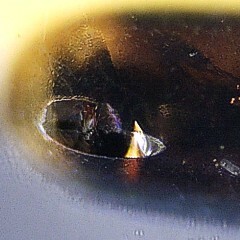 The size of the hole is about 0.33 mm to 0.43 mm. 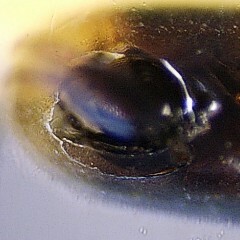 Situation that the Scelionid wasps come out from a water strider egg July 15, 2005 This water strider egg had been put in the water. This Scelionid wasp made a hole in about 15 minutes and appeared. The number is expressing time. Figure17-2 19：42：37 The hole has not opened yet. Figure17-3 19：48：12 A small hole is opening. Figure17-4 20：01：08 We can see 6 sheets of small fragments. The hole of the size that the wasp is able to come out has just opened. Figure17-5 20：01：19 A female appeared. 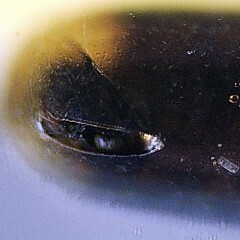 Figure17-6 20：02：25 The wasp comes out on the surface of the water after it arranged the wing and antenna in underwater. 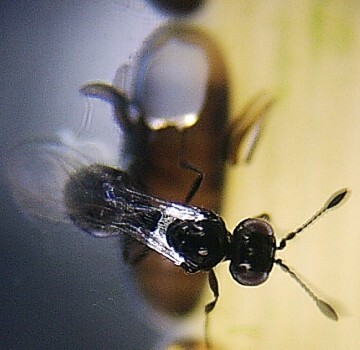 Figure17-7 19：48：56 The wasp is cutting the first fragment. 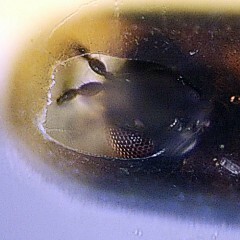 Figure17-8 19：49：44 The wasp is cutting the second fragment now. Figure17-9 19：52：35　The wasp is cutting the third fragment now. Figure17-10 19：56：48 The wasp cut the fourth fragment. 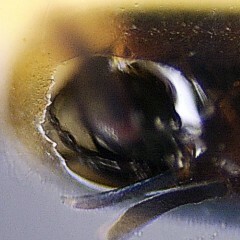 Figure17-11 19：58：38　The wasp cut the fifth fragment. Figure17-12 20：00：54　The wasp is cutting the sixth fragment. 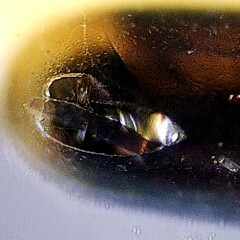 Figure17-13 Several fragments that the wasp cut The length of this fragment was about 0.30 mm to 0.35 mm. 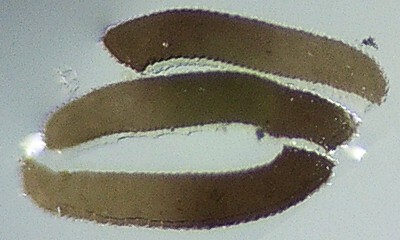 The width of this fragment was about 0.060 mm. 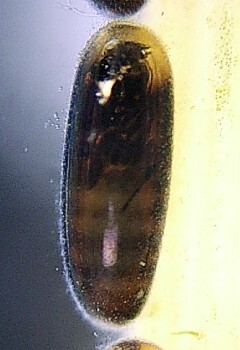 The thickness of this fragment was about 0.010 mm. The brim of the fragment that the wasp cut is jagged.